Waiting to get your hands on the Nokia N8? Unfortunately, it still hasn't hit stores yet but if it makes you feel any better, you can now pre-book the N8 from Nokia's official website for Rs. 26,259. Let me remind you what you will be getting for that money. 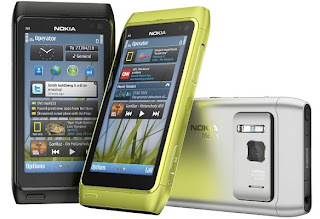 The Nokia N8 has a 12 megapixel camera with a wide-angle Carl Zeiss lens, variable aperture, 1/1.83-inch sensor, the largest on any mobile phone camera, and a xenon flash. The N8 can also record and playback videos in 720p resolution and has an HDMI-out, along with Dolby Digital Plus Surround sound feature that can output full 5.1 audio. 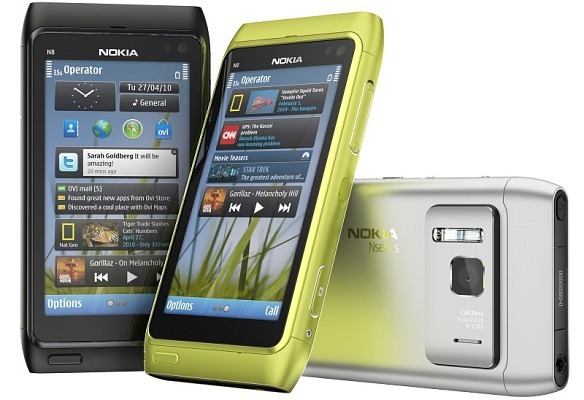 Also, the N8 is the first phone to run on the Symbian 3 operating system. Inside, you have 16GB of storage space for all your files and it also comes with the USB On-the-Go feature, which lets you connect any USB drive to the phone directly and access the files without the need of a computer. The N8 has a 3.5-inch, 640 x 360 resolution AMOLED display. All these features are wrapped in a sleek anodized aluminum body. The exact date of availability is not yet known but we are assuming it would be sometime this month. If you ask us, the phone seems well priced for the features it offers. And bear in mind that this is the pre-book amount, which is usually a bit higher. Expect the phone to be a fair bit cheaper when it hits stores. But if you are feeling impatient, hit up and pre-order one for yourself. Or you can hang around for our full review and then decide if you still want to get one.